Stuffed potatoes with beef, sounds good, right?! My mom used to make this more than 2 decades ago, at first I thought it was her own invention. How would one think to take the insides of the potatoes and stuff them?! 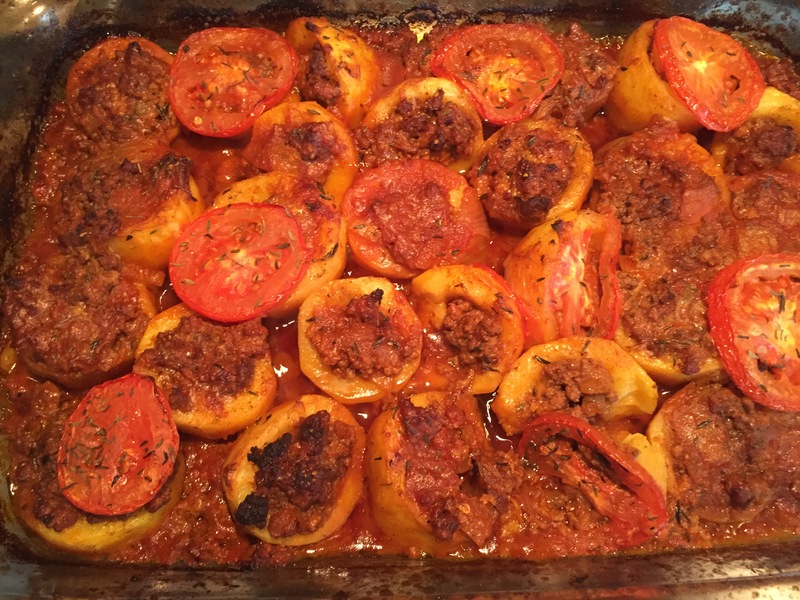 However, in Egypt, we love stuffing stuff, we stuff grape leaves, squash, eggplant, tomatoes, cabbage leaves, bell peppers, lamb intestines, hence it is a natural flow of events to eventually stuff potatoes. So, I get to find out that this dish is one of the traditional Egyptian dishes. Seriously, it is YUMMY!! 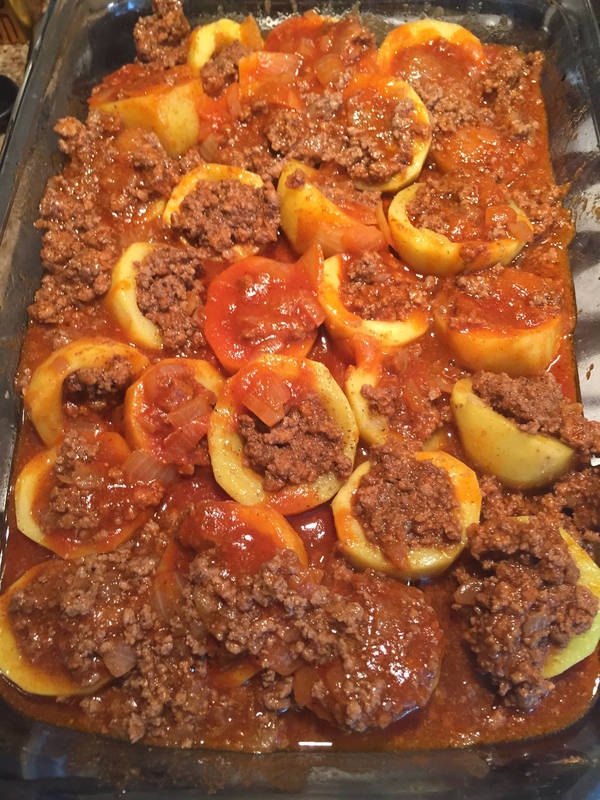 It is fried potatoes with ground beef and tomato sauce. So, how could this go wrong?! Heat 2 tbsp of vegetable oil in a pan on medium/high heat. 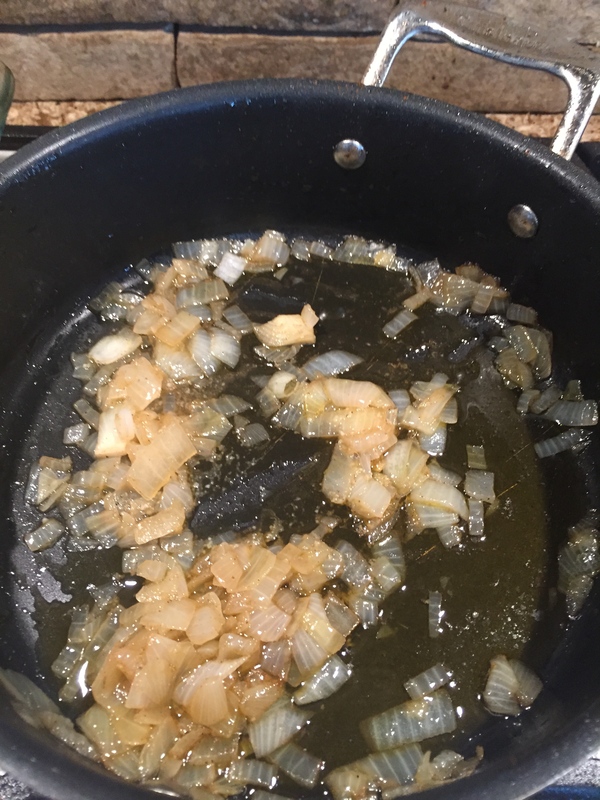 Stir in the diced onion until yellow. 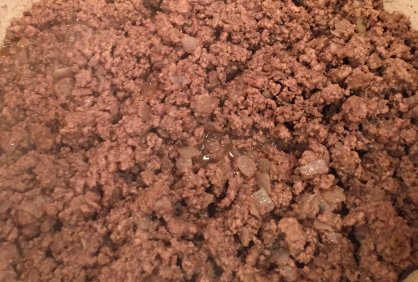 Add the ground beef to the onions and lower the heat. 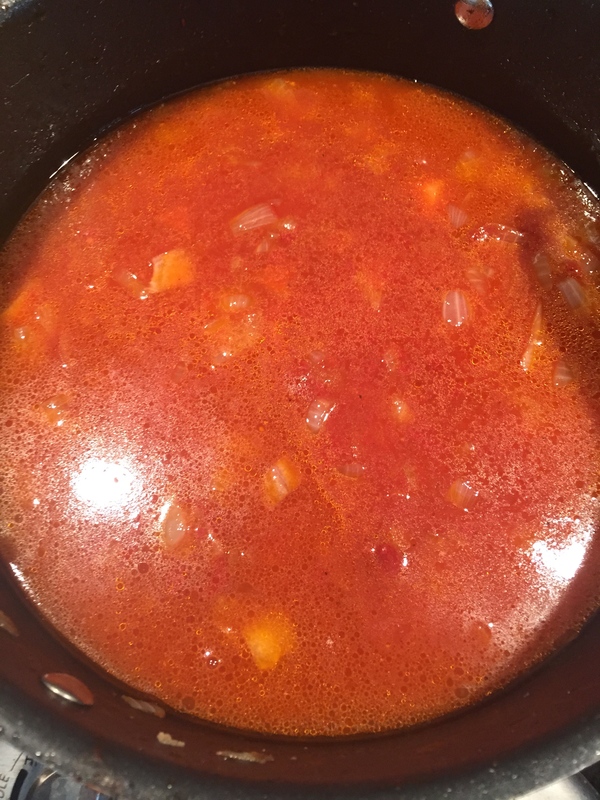 Keep stirring and when juices are bit absorbed, add salt, pepper and all spices. 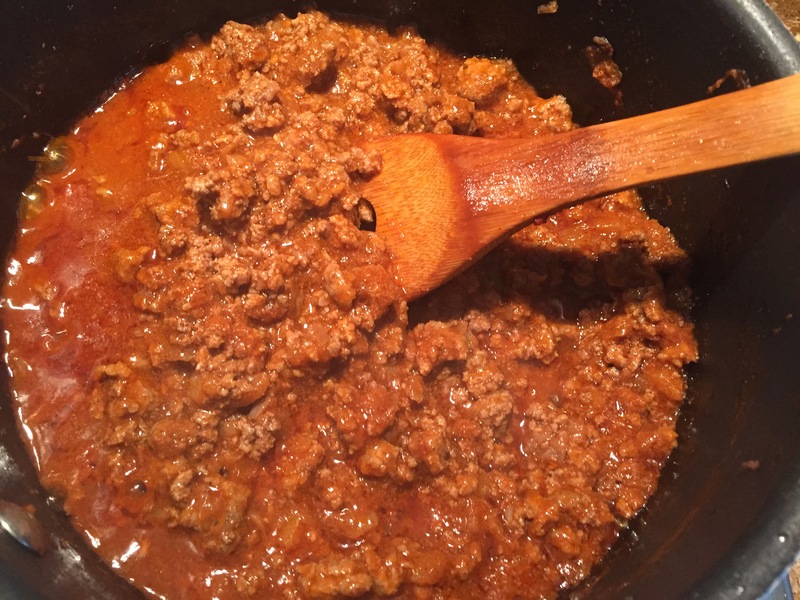 Add 2 tbsp of the tomato paste to the beef and stir well. Leave it to simmer on low heat for 10 minutes. Dissolve 2 tbsp of tomato paste in 1 cup of water and set aside. Blend 3 tomatoes in the blender and set aside. Add the minced garlic and stir for a few seconds. 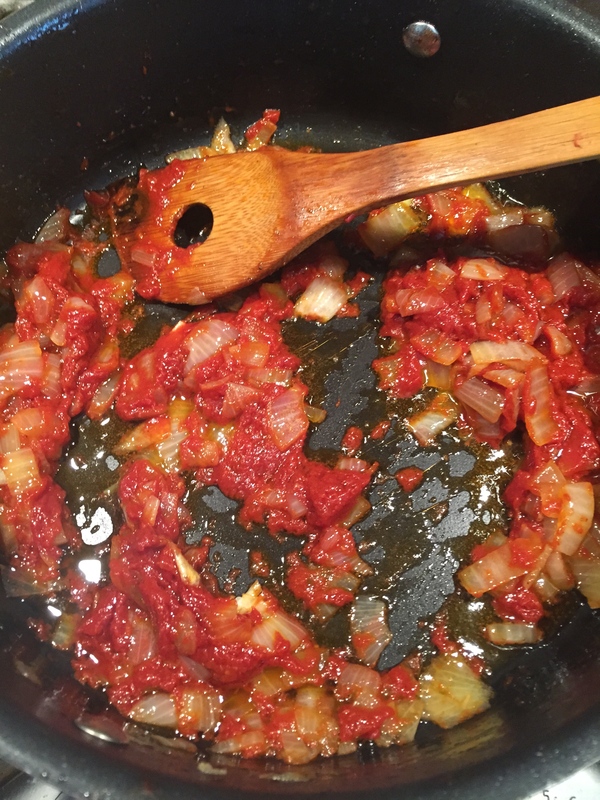 Add the tomato paste mix and blended tomatoes to the heat. Soak it in salty water for 10 minutes. 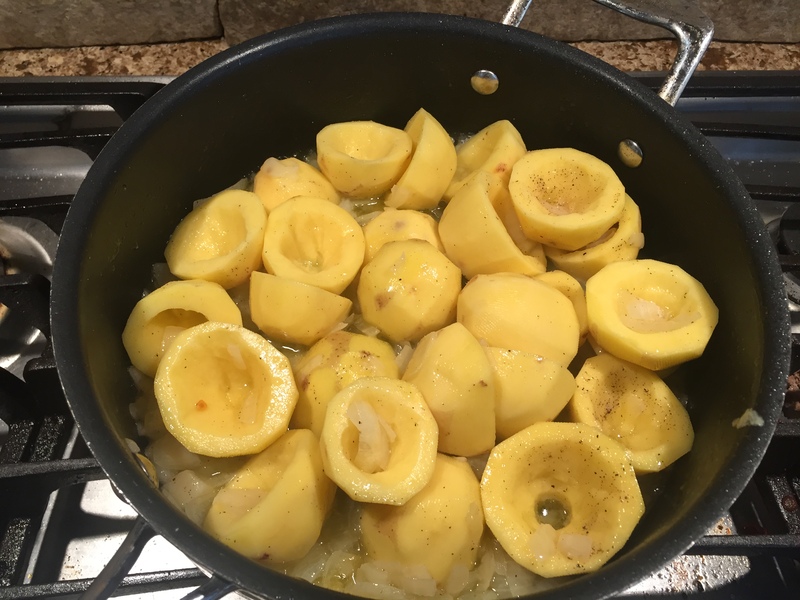 Fry potatoes in oil until light golden color. Take the potatoes out of the oil and pat dry them with paper towels. 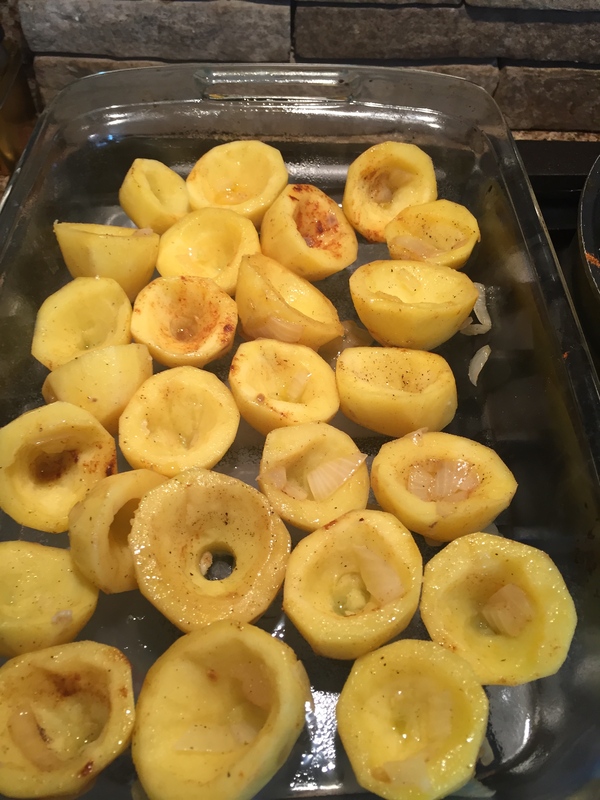 Place the potatoes with opening facing upwards in a baking dish. Sprinkle, salt, pepper and paprika n the potatoes. Stuff each potato with about 1 tablespoon of the ground beef stuffing. Sprinkle some parmesan on the top of the potatoes. 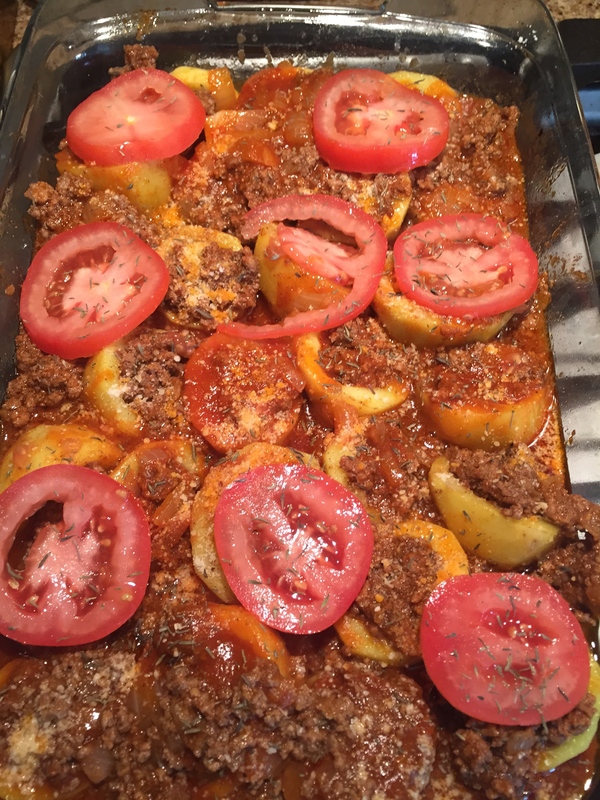 Also you can add slices of tomatoes on the top of the baking dish. Place dish in oven and bake for about 45 minutes. Sounds labor intensive but delicious. 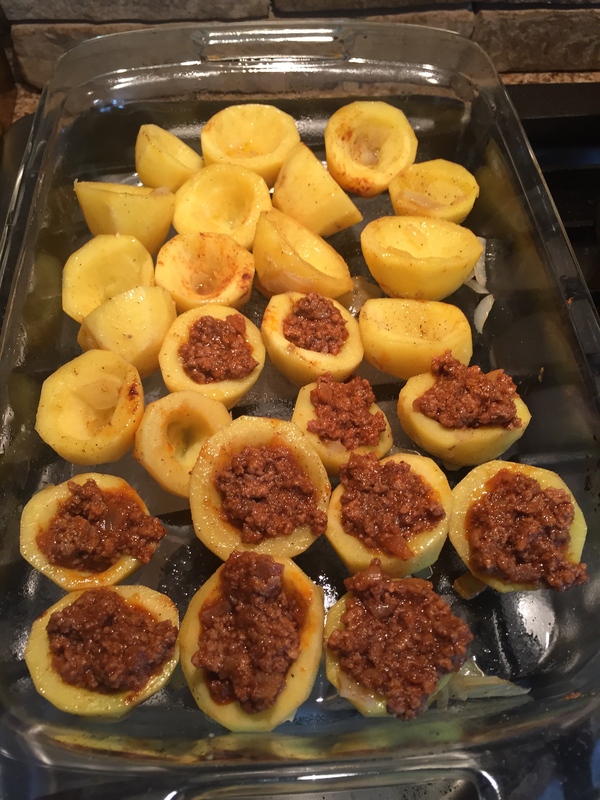 It has so many steps but it is not too hard for such a yummy result hehe I do not make it that often though cause the hardest step for me is to remove the potatoes core. I will try it one day when I am ambitious, it does sound fantastic!